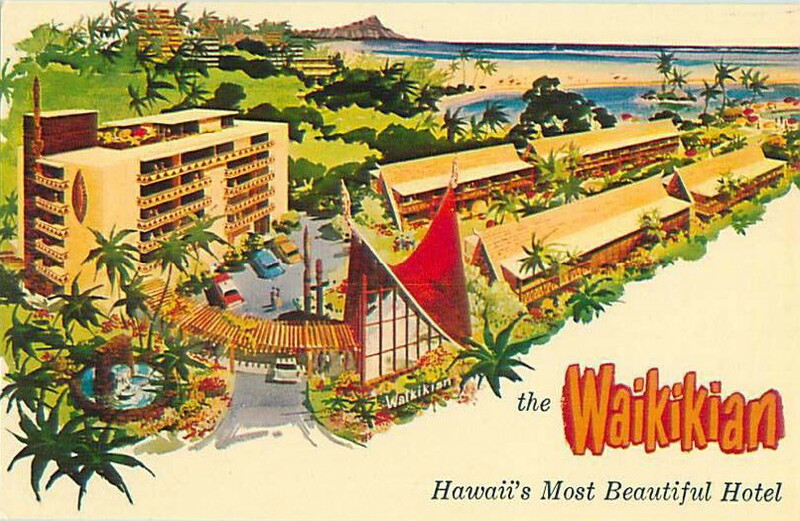 The Waikikian Hotel was located on Oahu. 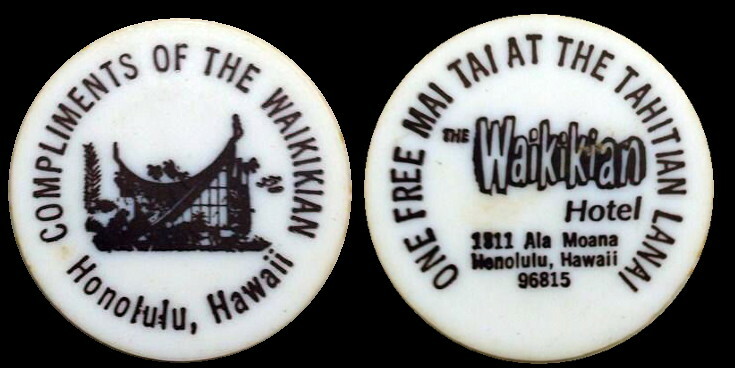 Currently, an documented token from the The Waikikian (operated from 1956 to 1996). Plastic 38mm (silver dollar size). This is a color picture of 2RO-4 as listed in Hawaiian Money Standard Catalog “Second Edition”, page 154, 1991, by Medcalf & Russell. Double click to enlarge to full size. 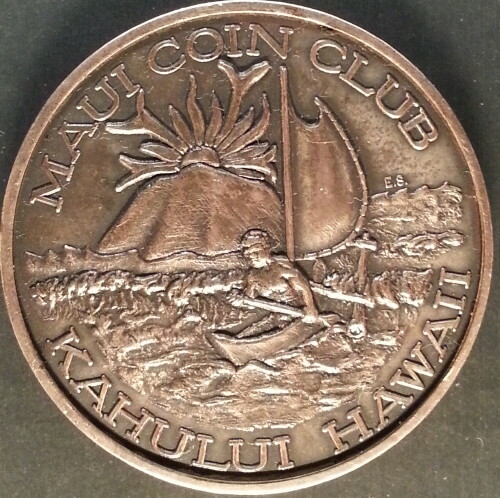 Below are images of a 1974 Maui Coin Club Silver Uniface Medal in my collection. 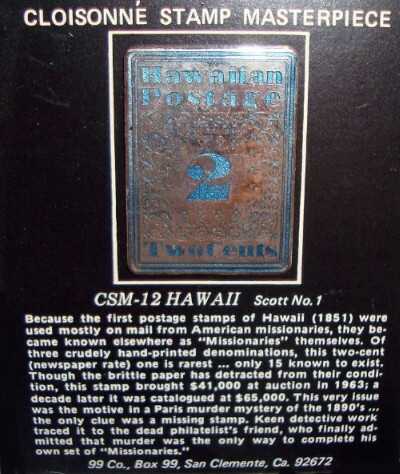 Information from Pressed Metal Products (PMP) (original manufacturer of the Maui Coin Club medals) indicates that this was a special striking that allowed the club to use the reverse as an engraving pad. It also can be said that the two images on upper left page 120 (identified as 2M-314 and obv 2M-302 are s incorrectly labelled) of Medcalf & Russell. The left most image should be labelled 2M-302 obv. The middle image should be labelled 2M-302 rev. Below is a portion of an email from PMP. Note the reverse image is not as shown on page 120, however the design elements are there (without text). It appears the reverse was modified to reduce the design elements to allow text to be fitted in (as show on page 120). 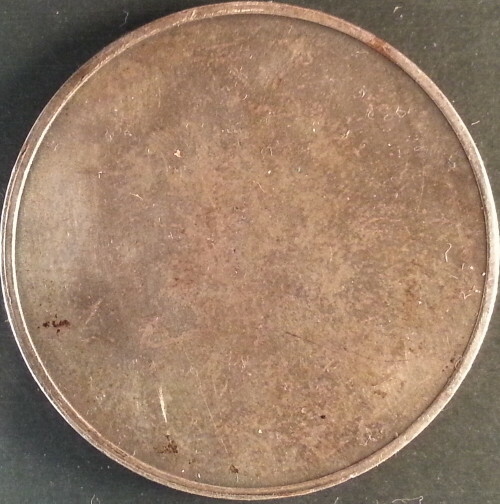 There are no mintage numbers for this special 1974 Maui Coin Club uniface striking. Original striking mintage is 250. If I had to venture a guess, I would say a dozen or less. 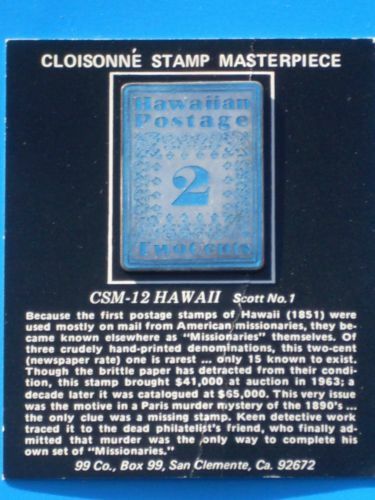 The uniface specimen in my collection was purchased from an individual currently living on Maui. 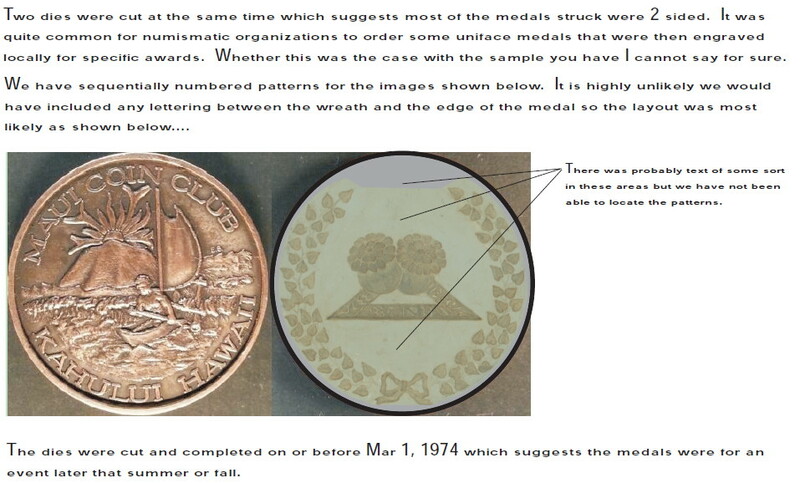 Finally, this uniface medal should be M&R listed. Both were recently added to my collection. The sellers did not properly identify these items. A quick check of the images and comparison to 2M-136 and 2M-137 listing confirmed a match. It’s great that the seller’s images included the original packaging. Below is 2M-136. Note the last line indicates “99 Co.” M&R also states it was issued by 99 Co. 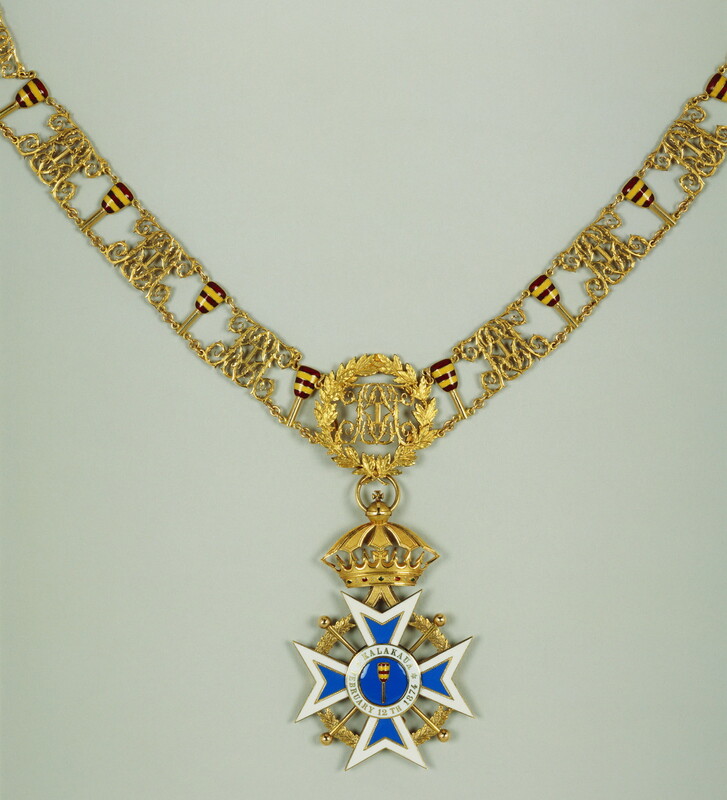 The reverse of the packaging (not shown) indicated “JEWELERS BRONZE JAPAN”. These words also used in M&R. Below is 2M-137 Note the last line also indicates “99 Co.” The reverse of the packaging (not shown) indicated “SILVER 1.000 FINE JAPAN”. These words also used in M&R. Both were issued in 1973 with a mintage of 999 each. 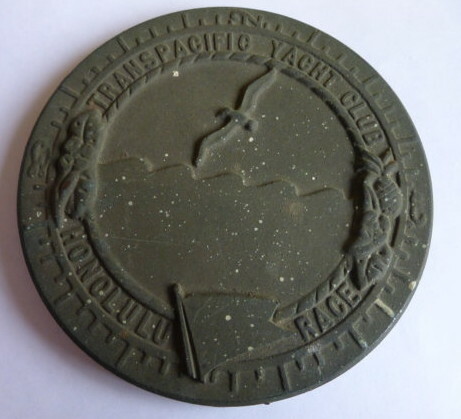 Image is of an unfinished bronze plaque (single sided) of the Transpacific Yacht Club – Honolulu Race (or simply Transpac Race) . This race is held in odd numbered years. The Transpac Race was originally the vision of Hawaii’s King Kalākaua as a way to build the islands’ ties with the mainland US. 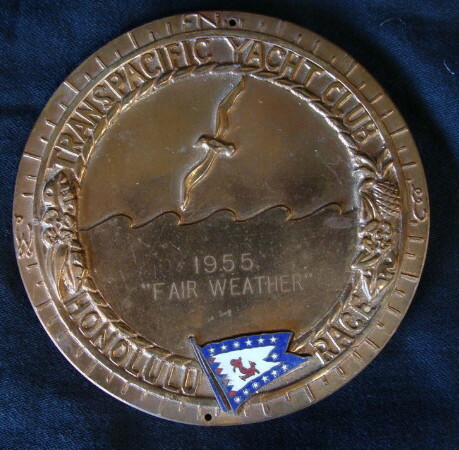 Since its humble beginning in 1906, the Transpac Race has become the oldest and longest enduring ocean race in the world and a “must do” on many sailors’ list of races. Below is an official plaque in brass that was awarded in 1955. I located this clipping. Thank you University of Hawaii at Manoa. Article about Mr. Kwock’s collections (with images of a few of his Hawaii saloon tokens).